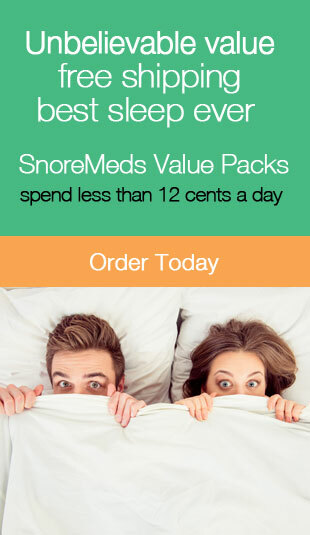 Snoring Sleep Apnea and Weight Loss | Stop Snoring Now! In this new scenario, snoring and sleep apnea cause the weight gain which makes the snoring and sleep apnea worse causing even more weight gain, a classic vicious cycle. In short, snoring, sleep apnea and weight gain work in combination with one another perpetuating the situation and making each condition worse. NOTE: If you have, or suspect you have sleep apnea, you must see a doctor immediately, obstructive sleep apnea is a serious medical condition that needs treatment by a medical professional. If, however you or a loved one suffers from “common snoring” here are the top 6 ways snoring sleep apnea and weight loss are related. And what you can do about it. Snoring happens mostly during REM sleep, when snoring interrupts this phase of sleep, it almost guarantees that you will wake up tired. And let’s face it, hitting the gym or going for a run is the last thing you’ll want to do waking up exhausted. #2. It messes with your hormones. Ghrelin is a hormone that signals the brain to “go eat”. Leptin is a hormone that tells the brain when we have eaten enough. When snoring interrupts your normal sleep cycle, these hormones get out of balance and we tend to eat more. Insulin is another hormone that is affected with sleep deprivation. Our cells become more insulin resistant, blocking insulin from providing fuel to the cells. Over time, this can cause diabetes. But there’s even more bad news, insulin promotes the release of Leptin, the “stop eating” hormone so when you’re sleep deprived your cells are rejecting insulin which causes you to eat more and gain more weight. #3. You’ll crave more junk food. Because your hormones are off and you’re tired. Your body will start craving foods to bring you out of its slump. These are generally foods that are high in sugar and carbohydrates as they provide that immediate boost your body’s looking for. #4. You’re more likely to be depressed. Depression is a big factor in weight gain. If you’re an “emotional eater”, you use food as a way to regulate emotions. Snoring causes sleep deprivation which contributes to low energy and depression. Food is a common way we counteract these feeling, unfortunately weight gain is a byproduct of this type of emotional regulation. #5. You’ll have less willpower. The sleep disturbances caused by chronic snoring can leave you tired and fatigued during the day. Studies have shown that people in these states are much more prone to making bad decisions. Being tired and fatigued makes it much more likely that you’ll give into cravings for sweets and high carbohydrate foods. Metabolic syndrome is a group of risk factors that put you at increased risk for Heart Disease, Diabetes and Stroke. Other symptoms of Metabolic syndrome include, high blood sugar, high blood pressure, fatigue, blurred vision and headache. The consequences of metabolic syndrome include a large waistline (35+ inches for women, 40+ inches for men), High Triglycerides, Low HDL Cholesterol, High Blood Pressure and High fasting blood sugar. As with most health related issues, it’s better to tackle the issue early on before the problem gets too big. However, there is always help for both snoring and the weight gain its caused. In other words, it’s never too late to improve your health and lose weight. While simple snoring and snoring related health issues can often be treated very effectively with inexpensive over the counter devices, snoring can be a symptom of a very serious health condition known as Obstructive Sleep Apnea. Obstructive sleep apnea is a condition where a sleeping person actually stops breathing several times during the night. The oxygen levels in the blood decrease, thus starving the brain and other vital organs. Your body reacts to these low oxygen levels by creating a stress hormone forcing your body to breathe again. Over time all of this stress on your body puts you at risk of stroke, heart attack, diabetes and even death. There are very effective treatments for obstructive sleep apnea, but it needs to be both diagnosed and treated by a medical doctor. Can be ordered on-line or at your local pharmacy. A nasal strip is basically an external nasal dilator. Usually the strip is a type of adhesive bandage with embedded plastic ribs or splints. You apply the strip across the bridge of the nose to assist in keeping the airway open. Peppermint, Eucalyptus, Clove, Pine, Fennel,Sage, Valerian. Essential oils can be used in a diffuser, rubbed on the skin or just placed in a bowl on your nightstand. There are several throat sprays on the market that claim to help with snoring. A lot of these use some of the same essential oils mentioned above. Throat sprays work by tightening the tissue in the throat and thus opening up the airways. The position of our head and neck can often cause a restriction in our airway leading to snoring. Anti-snoring pillows position our head and neck so that the airways stay open. With that said, there are many different types of anti-snoring pillows, from simple “wedge” type pillows, to pillows that track your sleep and show you the results in an app on your phone! There are two main types of anti-snoring mouthpieces available today, the mandibular advancement device (MAD) and the tongue stabilizing device (TSD). The mandibular advancement device is normally a molded piece of plastic that’s fitted to go over your teeth. They look similar to the mouth guards that athletes wear and can be placed in hot water and molded to a personalized custom fit. They work by holding the mandibular (lower jaw) in place so that it doesn’t slip back and block the airflow. The tongue stabilizing device works in a similar fashion but it looks a little more like a pacifier! The TSD is designed to hold the tongue forward so that it doesn’t fall to the back of the throat blocking the airway. Both the MAD and the TSD work by keeping the airway from becoming blocked, which one will work the best of your snoring. Anti snoring chin straps are designed to both hold the lower jaw in place and keep the mouth closed. These simple devices resemble old fashioned “Headgear” that many of us wore as teenagers! Smart Nora – As discussed earlier, snoring occurs when the airway is disrupted, either by the jaw, tongue or excess tissue in the throat. This is a device works by automatically adjusting your head and neck position when you start to snore. It’s a simple device that fits under your pillow (works with almost any pillow), and when snoring is detected adjusts the pillow’s height automatically. This opens up the airway and eliminates the snoring. Adjustable beds work on the same principle as the Smart Nora, the idea is that you can sleep with your head raised enough so that the excess tissue in your mouth and throat doesn’t fall back and obstruct the airway. Adjustable beds are also really good for people suffering from GERD. GERD or Gastroesophageal reflux disease, is a digestive disorder that affects the lower esophageal sphincter. When this sphincter doesn’t work properly stomach acids can back up into the esophagus causing heartburn and over time damage to the esophagus. Science is just now unraveling the complex relationship between snoring sleep apnea and weight loss. But one thing is certain, they are related, and treating snoring helps with weight loss and losing weight helps with snoring! But aside from just looking better, treating snoring has other major health benefits. Including lowering blood pressure, reducing the strain on your heart and reducing the risk of stroke.You just need to find the right solution for your type of snoring, don’t be surprised if you need to use more than one anti-snoring device to find relief, and don’t give up. Some anti-snoring devices can take time to get use to. As always, we hope you have found this article both helpful and informative. If you have please share it with your friends and family, it really does help us and is greatly appreciated!